Rare postage stamps are a potentially valuable commodity, but only if they are identified correctly. Collectors who wish to accurately price a stamp must determine its date of issue, country of origin and potential irregularities. The more knowledgeable a collector is about his stamp, the more likely he will be to receive a fair price from a dealer. Check the writing on your stamp for information about date of issue and country of origin. If there is no writing on the stamp, then it is from Great Britain, which was the first country to issue stamps and, therefore, does not print its name on its postage. Check your stamp for a watermark by applying a few drops of commercially available watermark fluid to the back of the stamp. The watermark will appear briefly before the stamp paper dries again. Watermarks are essential for stamp identification because identical stamps with different watermarks can have significantly different values, according to Linns.com. Watermarks are also useful for dating stamps because many have changed or have been discontinued over time. Look up your stamp's watermark and any unknown words or place names in the glossary of the International Society of Worldwide Stamp Collectors, which provides English-language translations of place names and abbreviations on all known stamp printings. This glossary is especially useful for identifying stamps from countries whose names are significantly different in English than in their native languages and stamps from countries that no longer exist. 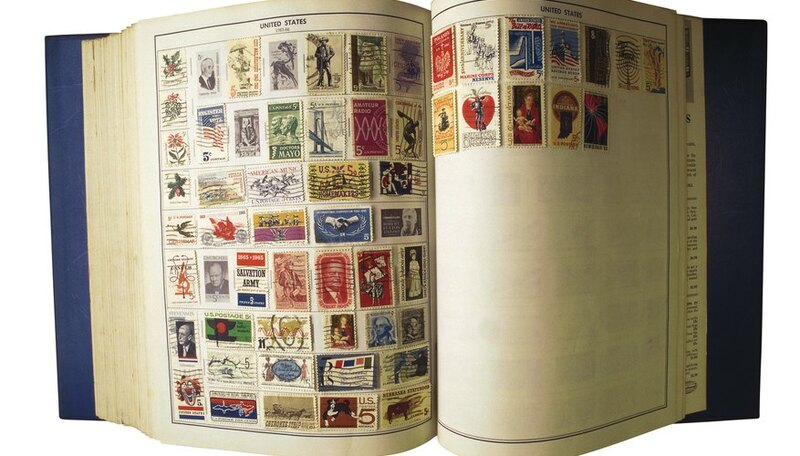 Access a complete and up-to-date set of the Scott Standard Postage Stamp Catalogue, which the American Philatelic Society recommends as the most complete resource for appraising stamps. Prices for new and used stamps are listed in U.S. dollars, but prices are calculated relative to listed prices for those stamps in Canadian dollars, pounds and euros. A complete copy of the Scott Standard is available at most public libraries. Compare your stamp with its image in the Scott Standard. Irregularly printed stamps may have significantly more value than their correctly printed counterparts, says John Hotchner, a writer, editor, researcher and lecturer on stamps. If a stamp appears to be irregular, contact the American Philatelic Society or the American Stamp Dealers Association for pricing information. Otherwise, use the Scott Standard price as an approximate value of the stamp. Contact a stamp dealer registered with either the American Philatelic Society or the American Stamp Dealers Association and inquire about selling your stamp. Depending on the dealer's business model, her price may vary somewhat from that in the Scott Standard. If the price varies significantly, contact another dealer and offer your stamp. If multiple dealers quote prices that vary significantly from those listed in the Scott Standard, the stamp's value may have changed since the time of the catalogue's printing. Be sure that your edition of the Scott Standard Postage Stamp Catalogue is up-to-date. Stamp prices can vary significantly from year to year. If you cannot identify your stamp using the resources listed here, contact a registered stamp dealer to schedule a consultation. Most dealers offer these consultations free of charge and with the understanding that you are not necessarily looking to sell your stamp.